BC VQA wines are released twice a year; once in the Fall and then in the Spring. 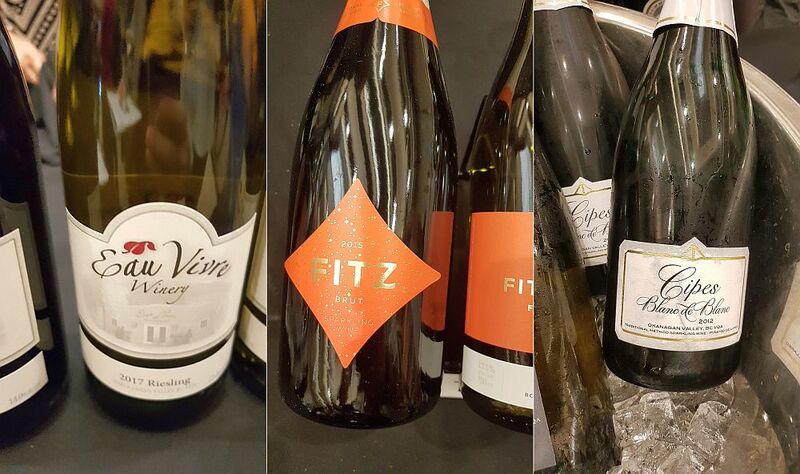 The Fall wines tend to show more white wines, as well as Pinot Noir, while the Spring event has more red wines. This tasting I was able to taste many fine white wines as well as some surprising reds. The Okanagan Valley is warmer and drier than Napa Valley and gets nearly two hours more sunlight per day during the peak of the growing season, but we are still a cool climate region. I think the cool desert evenings are what contribute to the bright fresh, crisp fruit flavours we get from our white wines. 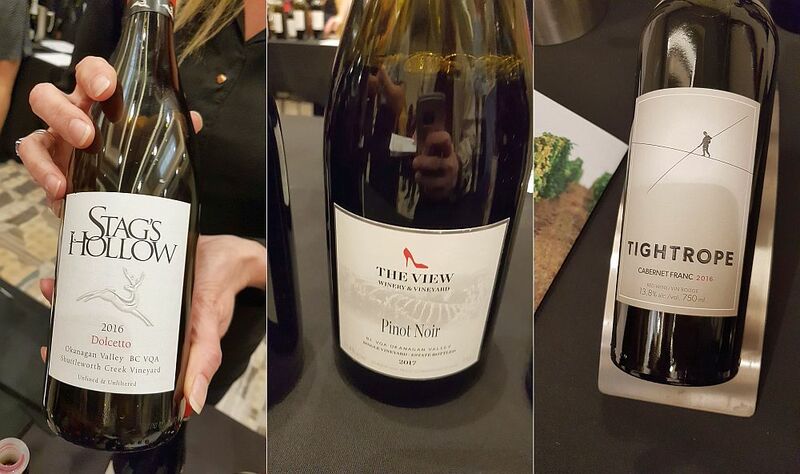 Let me take you through a few of my favourite white and red wines from this event. 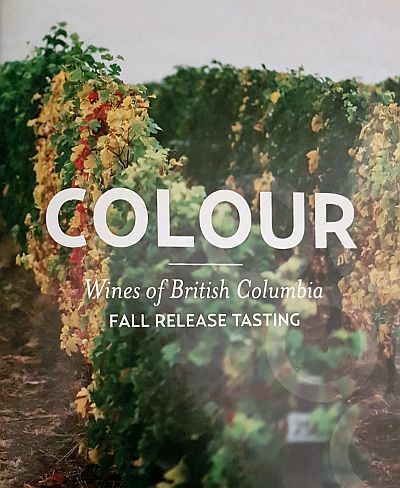 Thirty-six wineries from across BC attended, each pouring four wines on average, making 144 wines to try. I was not able to visit every winery table, so if you do not see a wine listed that you really like, let me know in the comments sections below. 1st R.O.W. Estate Winery Gewurztraminer 2017 – Nice apples, spice and peach aromas which follow on to the palate. Light body, dry with a mineral component. An elegant wine. 50th Parallel Estate Pinot Gris 2017 – Light stone fruit plus honey nose. Smooth with light acidity and some minerality. Delicious stone fruit flavours. 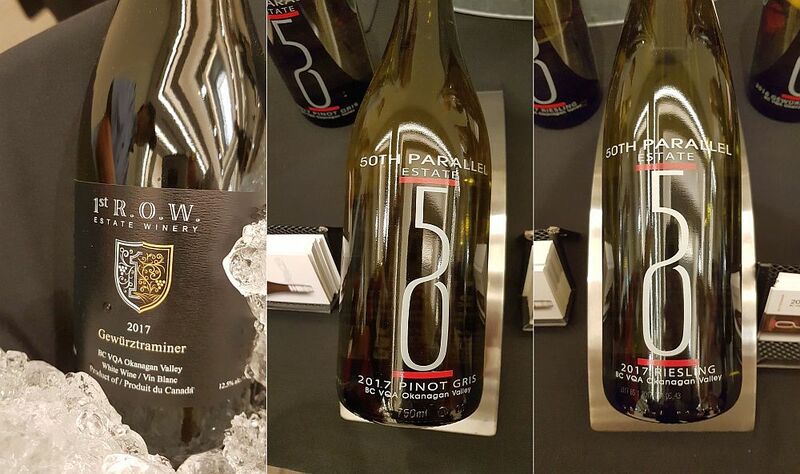 50th Parallel Estate Riesling 2017 – Light petrol, honey and stone fruit aromas in the glass. Medium body, semi-dry with medium acidity. Higher acidity helps balance the sugar. Lime and citrus on the palate, with honey marmalade finish. Refreshing to drink. Burrowing Owl Chardonnay 2016 – Light citrus, apple and butterscotch aromas. Round with medium acidity. Very flavourful with ripe apples, butterscotch, sweet spices and a hint of peach on the palate. 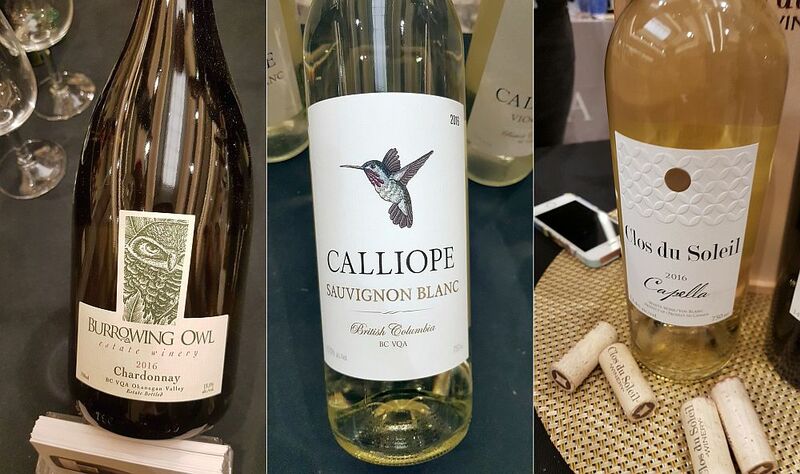 Calliope Wines Sauvignon Blanc 2016 – Light lime on the nose, with more on the palate. Also jalapeno pepper and citrus flavours, followed by peach. Medium body with higher acidity. Tasty. Clos du Soleil Winery Capella 2016 – this is a white Bordeaux blend; Sauvignon Blanc and Semillon. It has a light crisp apple and flint nose. Medium plus body, round and rich mouthfeel. Apples and a light toast touch on the palate. Elegant. Eau Vivre Winery & Vineyards Riesling 2017 – this winery is located in the Similkameen Valley. I had not tried their wines before but will try to taste them more often now as this Riesling was quite good. It has a light intensity rich pineapple nose. Medium body with higher acidity. Crisp red apple flavours. An age-worthy wine. Stag’s Hollow Winery & Vineyard Dolcetto 2016 – Nice ripe, juicy dark fruit on the nose. Light mouthfeel with floral and dark ripe fruit flavours. Dry. Very light, fine tannins. Dolcetto is another grape you may not have heard of. This wine is not going to age, but is delicious and should be enjoyed now. Give it a try. Tightrope Winery Pinot Noir 2016 – Light red fruit and floral aromas. Light body, dry with medium acidity. Red fruit, floral and nutmeg on the palate. I hope one or more of these BC wines sparked your interest. 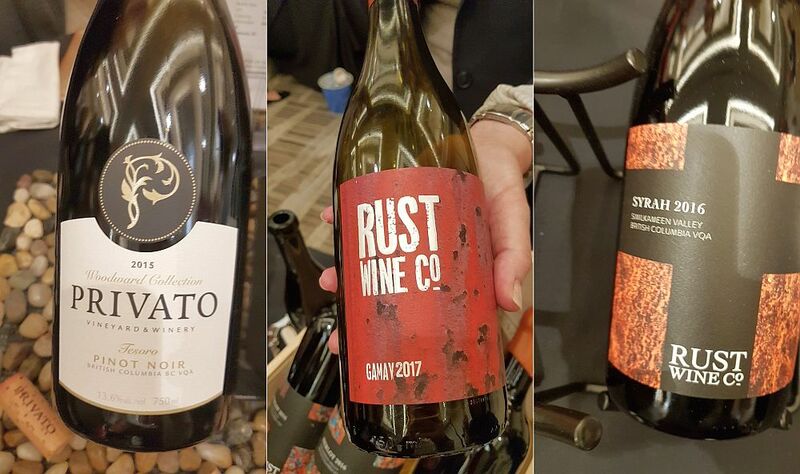 These wines would be available through the wineries’ websites, but you may also find them in the BC VQA section of BC Liquor stores, or private wine shops. Enjoy.